My father was born in 1922, within a couple of miles of the Williamthorpe pit. Although he was very successful at school, being one of fourteen brothers and sisters, his parents could not afford to send him to school any longer than necessary so at 14 years of age he started work at Williamthorpe. He started as a pony lad, caring for the pit ponies, no doubt encouraged by his father Arthur, who was the pit Ostler, a term in Derbyshire for the man who was in charge of looking after the ponies down the mine. By 1940 he had graduated to other mining duties until he was involved in an accident at the pit. He had signed up to join the RAF, along with a number of his mates to train as rear gunners in Bomber Command, however shortly before he left the mine to start his RAF training an accident occurred. He was working in the bottom of the shaft, cleaning out the sump. The shaft was still in use, hauling tubs to the surface, The workers below were protected with a layer of railway sleepers, somehow a tub came off of the cage and tumbled down the shaft, crashing through the sleepers and injuring my father and killing one other miner. I have seen an accident recorded at Williamthorpe on the website when one man was killed, I don't know if this was the same accident, but it was in 1940. The shaft at Williamthorpe was the deepest in the area and the cage was an unusual three deck design. 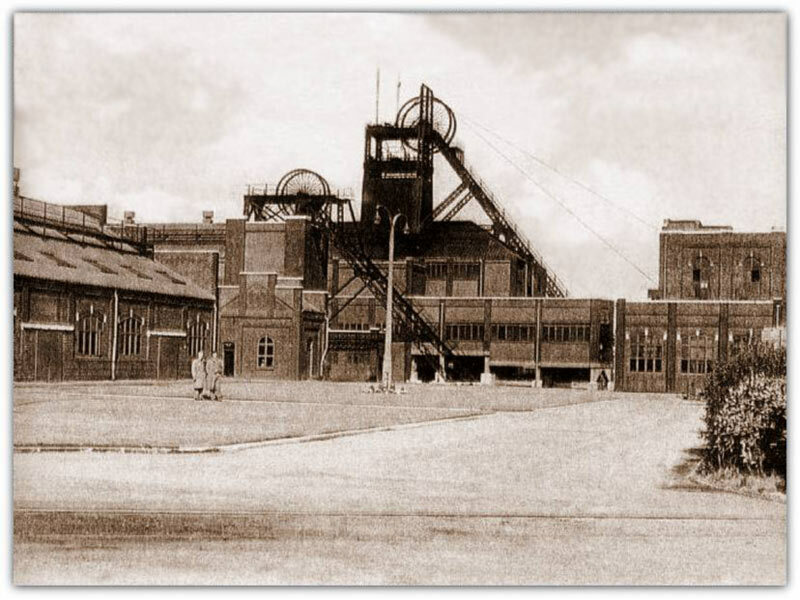 My father was picked up and carried underground for nearly two miles to a pit that was linked to Williamthorpe called Grassmoor pit where he was brought to the surface. He had sustained 17 fractures to his spine, so it was probably the worst thing that could have happened to him. My father then spent the next four years in hospital receiving treatment for his injuries. I know he spent time at a rehabilitation hospital called Harlow Wood near Nottingham where he was the only civilian patient. He could not be moved when the hospital was cleared to accept soldiers returning from the D Day landings in France. He used to tell me that they were all American soldiers and they would place an army blanket on his bed so that he received Red Cross parcels like they did. He finally recovered enough to leave hospital and was placed in the Home Guard. All of his friends who joined the RAF were lost in action. He used to say the accident saved his life? By 1948 he had recovered sufficiently to return to work at the mine and worked on the coal face, on the deep soft seam for the next twenty years. He told me this was because a wage of £5 per week was too good to miss in 1948. He also spent some time working as a Ripper, enlarging the headings. He stayed at Williamthorpe until it closed in 1970. I can remember visiting the pit with him as a child when he went to collect his wages on a Friday lunchtime. 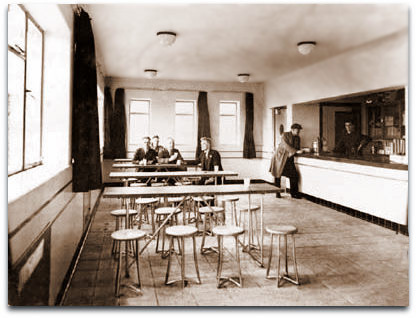 The ladies in the canteen would always save me a sticky bun and a bottle of milk. The baths attendant was a man called Jack Russell who had one eye. I was always taken to see the Canaries who were kept in a lovely little aviary next to the baths. I can remember looking down the shaft into the dark depths. The winding engine was steam driven with two large black chimneys and there was an electric motor back up winder that reputedly was ex marine from a submarine. My father’s brother Harry who was two years younger also worked at Williamthorpe. He latterly worked at the nearby Markham colliery where there was a major disaster in the early 70's when the cage fell down the shaft killing many men. Uncle Harry was in the pit bottom that morning waiting for some of his friends to follow him down the pit when they arrived in a plummeting cage. Harry worked all day assisting with the rescue of his friends who survived then came up the pit never to return. He never went down the pit again. My father’s name was Edward Arthur Hough and was my best friend. He passed away 20 years ago and I think of him every day. He was a very popular character, well known locally and when he died the local shops all closed and the people in the village all lined the streets to see him off. The shaft at Williamthorpe still exists; it has never been filled in. Water is still pumped out continuously for whatever reason. Anything else I can help you with please let me know.